Those that know me are aware of my love for Japanese guitars and basses. So, it is no surprise that when I am overseas, it is easy for me to kill an afternoon in one of the Ishibashi guitar shops. 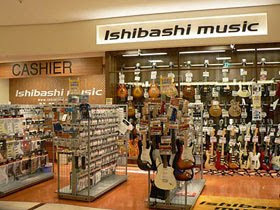 As far as I know, Ishibashi is the largest chain of music stores in Japan, sort of like their Guitar Center. They have 14 stores throughout the country, and I have been to their Tokyo and Nagoya locations. These are no stand-alone stores, either. Usually they take up one floor of a department store, such as Parco in Tokyo, or Skyle in Nagoya. These are full-service music stores, so they carry pianos and band/orchestral instruments, as well as providing lessons and repairs. 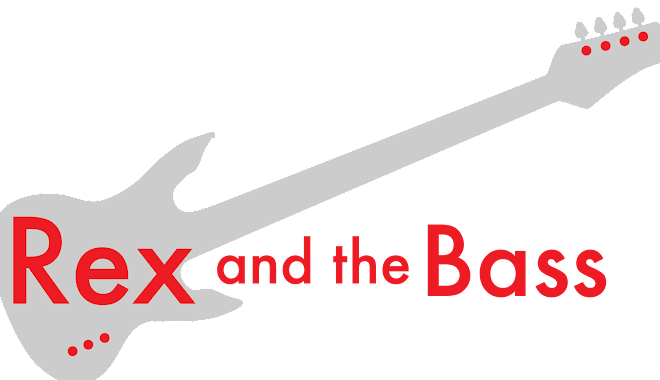 But the main focus of these stores is sales of guitars and basses. They have an amazing stock of American products, including a mind-boggling array of vintage axes at stupefying prices. But, of course that would be like a Japanese guy coming to the US to shop for a Toyota. The real gold here for us gai-jin is the Japanese-built guitars: walls full of them. Gibson Orvilles, Musicman EX, ESP, Edwards, second-hand Arias and Tokais, and of course, Fender Japan. Ishibashi is a big enough dealer that Fender of Japan will do special runs of guitars just for them. Guitars with weird and unnatural combinations of features and colors that Fender USA would not imagine building in a million years. Which really adds to the coolness factor. I have saved the best part for last. Unlike every other Japanese guitar shop I have been to, Ishibashi is happy to ship internationally. They have a nice staff that can read and respond in English (sort of), so that if you see something drool-worthy on their web site, you can actually get it.